Andrew Bagg, better known as his stage name, DJ Cobra has multiple residencies in Hollywood, San Diego, Chicago and Las Vegas, and spins at clubs throughout the United States. He has roughly over 300 performances a year and monthly residences in multiple cities. 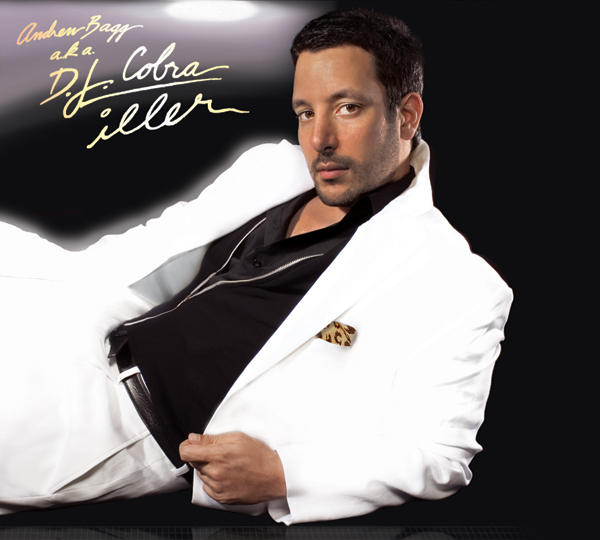 Today, Cobra appears internationally more than any other open format DJ. 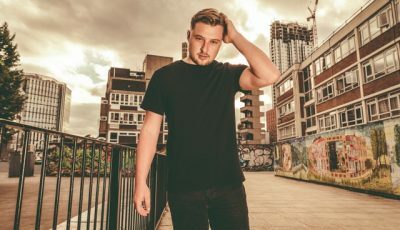 He has also toured, opened for or performed with over fifty gold & platinum recording artists including P. Diddy,Prince, Ludacris, Nelly, John Legend and Lady Gaga. First things first, where did you come up with your DJ name? Where is Cobra from? It was always intended to be a temporary place holder and never my permanent name. I might have been in Junior High or High School and the name stemmed from the movie Karate Kid which seemed to play on HBO on a constant loop growing up. In that movie the “cool” kids who are also the villains in the movie were called “Cobra Kai”. When was the first moment that you realized you wanted to be a DJ and perform all over the world? I don’t think I ever had that aha moment where I said I wanted to be a DJ professionally let alone travel all over the world. It was simply a hobby that organically grew with my ambitions to set new goals and challenges for myself which somehow along the way blossomed into a career. Who are some of your musical influences? Who are some of the new artists who inspire you today? There are so many musicians and producers growing up it is hard for me to only sight a few. In no particular order, Guns & Roses, Michael Jackson, Prince, Wu Tang Clan, Dj Premier, Tribe Called Quest, Epmd, Stevie Wonder, Hall & Oats, James Brown, Curtis Mayfield, DJ Revolution, DJ Rectangle, Beat Junkies crew, etc, etc. But that is really only scrapping the surface. As far as what inspires me today, again it is such a wide range. It is everything from pop music like Calvin Harris to more obscure acts like Flume & Chet Faker. Hip Hop, rock, soul, house, I love it all. How are you using social media networks and sites such as Facebook, YouTube, Twitter and Instagram to interact with your fans? What do you think about it all? I have some pretty strong opinions that vary depending on the service. I think Twitter is the least relevant of all platforms. Everybody on there is talking but not enough people are listening which leads to low conversion. YouTube is still the best way to share video content and I think we are going to see some great original content start to grow out of platforms like Youtube in the future that may rival some of todays most popular TV shows. Facebook has been heavily compromised with them trying to monetize all the fan pages. As a result it is really hard for me to have my posts reach my fan base unless I am willing to pay thousands of dollars a month which has compromised the user experience. Instagram is a great platform and one of the more effective ways to share your experience with friends and or fans. Ultimately I see people with large fan bases creating their own eco-systems to communicate directly with all of their fans in order to create a more immersive experience. You’ve toured with some incredibly legendary performers, like Prince, Lady Gaga, Ludacris, Nelly and more. Who has been your favorite to work with and why? I would have to say Lil Jon might take the cake as far as the greatest entertainer to work with as a DJ. Whenever we have done a show he does not just do a few songs and then grabs a check and leaves. He is involved in the entire gig right there with me from start to finish and we are able to improvise and create a real organic performance. He engages with the crowd and becomes one with the party. He is a true showmen. Describe what it’s like playing in front of thousands of people? Do you feel the same way every time? The larger the crowed the more confident I feel. It is a great rush to be able to have an entire room or arena in the palm of your hands for that moment in time. It never gets old! You play in Las Vegas a lot! Got any tips for handling Sin City? Do you get to enjoy yourself when you go? Where has been your favorite venue/event to perform at? This is a tough one. So many great venues around the globe. I would say “The City” in Cancun is always amazing during Spring Break for obvious reasons. It is one of the largest nightclubs in North America. You truly feel like you are Bon Jovi or some other huge rockstar when you are performing in that room. What was it like touring with NBC’s “Minute to Win it,” Guy Fieri? Touring with a celebrity Chef was definitely interesting. The food options were always absolutely ridiculous with every restaurant owner bringing us the most over the top spreads of food everyday. I must have gained 15lb. in a month. I’m a big fan of your album, Iller. How long does it take to create one song on an album like that? It’s all a bit of blur looking back now because it was an ongoing project for about 8-9 months. Some days it would take me as long as 4 hours just to do one minute of the album! If you had the opportunity to work with any artist from the past, present or future, who would it be and why? Tough one…… I will go with The Beatles which might be a bit of a cheesy answer but I really love how they were able to create such interesting dynamics with their music and continuously evolve their sound. It would be fascinating to see and be part of their creative process. Right now anyone can put out music and it is hard for great new talent to sometimes cut through the noise. I think we are definitely going to see curation emerge more to help address this issue. Also the major label system is doomed. They have antiquated business practices and no longer develop acts. Instead most majors simply act as administrators and latch on to whatever they can get their hands on. They need to adapt to the current climate faster. When you aren’t performing, what do you like to do in your spare time? I am a bit of a serial entrepreneur with investments and partnerships in various other business ranging from a lounge (Warwick, located in Hollywood) to various data companies and tech start ups. Those ventures as well as creating music take up the majority of my free time. Do you have any great/interesting road stories you’d like to share? Nope! The great ones I unfortunately don’t want to share. Let’s just say I am saving them for my memoirs for now. Do you have any advice for upcoming DJs? Today if you want to make it as DJ you need to have your own original content. If you are not able to turn out high quality material consistently and relatively quickly it is going to be a hard road to grow your brand. On the other hand, if you just have a love for music and want to pursue deejaying as a hobby, I would advise trying to use real records at first as your foundation for learning how to DJ. If that is not an option, use Serato. Try and avoid the controllers if possible. What is the one truth that has always remained constant so far throughout your career? Q&A with THE BATTLEFIELD: Where Folk, Americana and Gospel Unite. 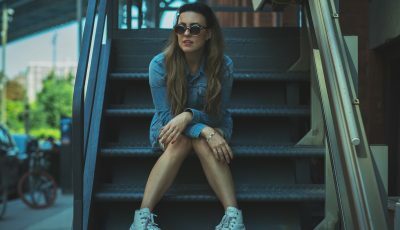 An Interview With The LA-Based Singer-Songwriter, MELANIE TAYLOR! 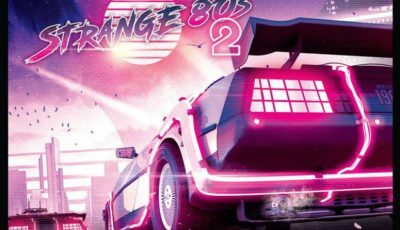 Charity Bomb’s STRANGE 80’S 2 Welcomes Super-Group Combinations and Classic 80’s Tunes All For An Important Cause!